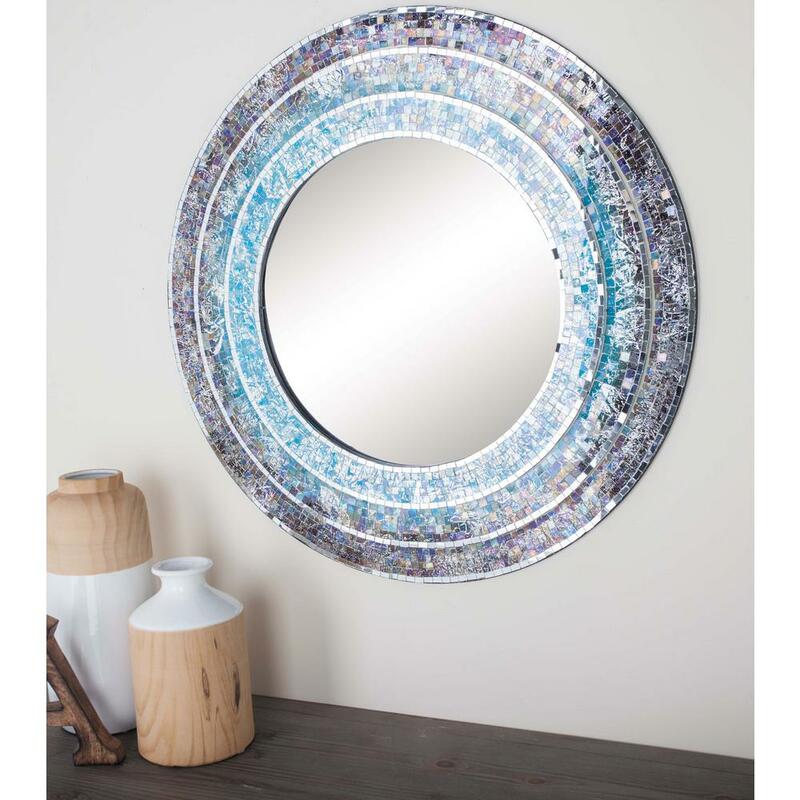 This turquoise round wall mirror features a classic circular frame made of iron and wood with a captivating action-green mosaic design. Its mosaic design and elegant silver-finished outlined edges are sure to add texture and depth to your modern home and office interior. This decorative wall mirror perfectly complements your modern-themed design settings. The picture does not do this mirror justice at all. It is beautiful! All the colors just flow and glow together. You see speckles of all types of colors. Just stop thinking and buy it already. Star has not submitted any questions. Star has not submitted any answers.